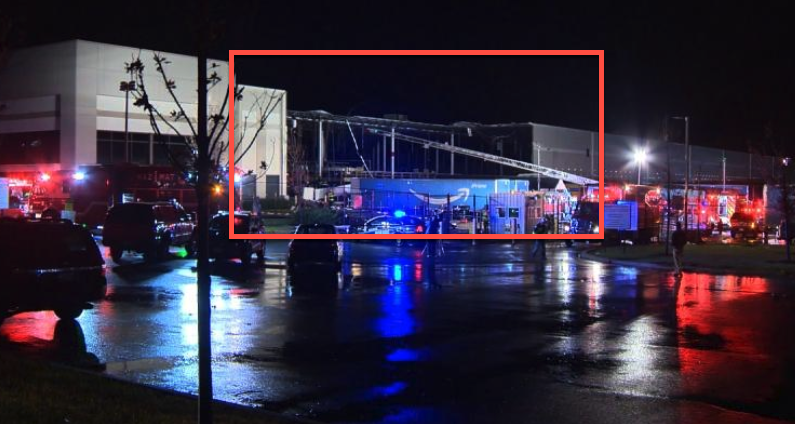 At least one Amazon worker is dead, and another was unaccounted for late Friday night when a massive wall collapsed at an Amazon warehouse in Baltimore, the city's fire department spokesman said. 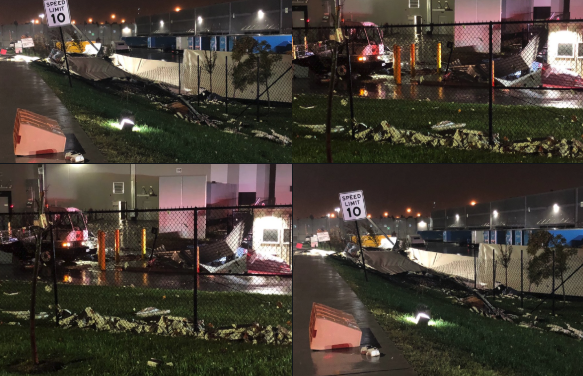 Chief Roman Clark told reporters a 50-foot wall collapsed at the Amazon Fulfillment Center in Southeast Baltimore in the overnight hours as a wicked storm swept across the Chesapeake Bay. Firefighters found the deceased worker under rubble and transported to a hospital, where the person was pronounced dead, Clark said. He said a second person was unaccounted for. 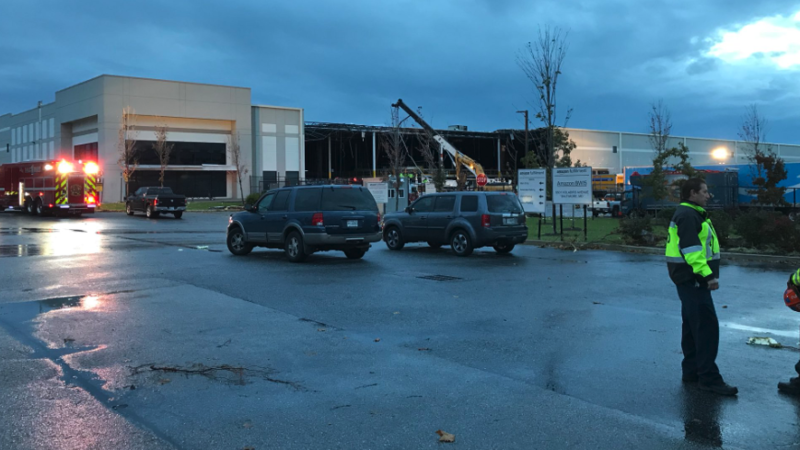 According to The Baltimore Sun, footage of the scene showed a badly damaged facility, damaged delivery trucks, and debris everywhere. 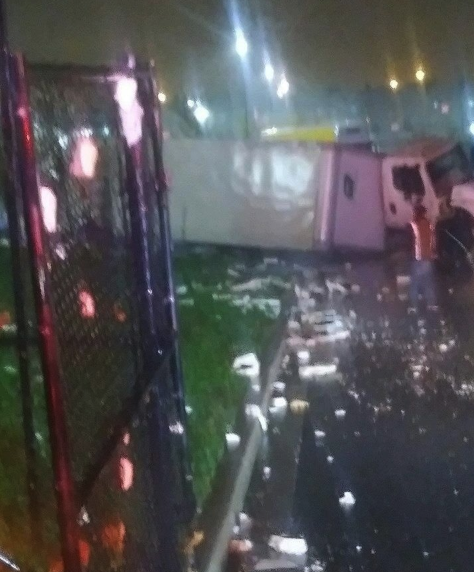 On a nearby highway, on the north side of the Ft. McHenry tunnel, a tractor-trailer overturned because of wind. 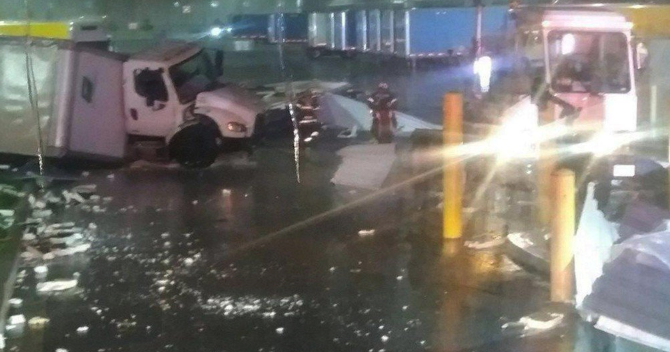 It is unclear if the Amazon warehouse collapse is related to a severe weather event that hit the city last night, but Clark said the area was getting pounded with strong winds and rain at the same time. Luis Rosa, a meteorologist with the National Weather Service (NWS), told The Baltimore Sun a government weather team would be surveying the area on Saturday to assess the damage. "I was standing inside the building and me and one of the facilities dudes were talking, and I went to the left side of the building and he went to the right, and all of a sudden, we just heard these loud noises. The power shut off. It was just crazy inside," McBride said. "It just sounded like bombs were dropping everywhere. The whole side (of the building) was just dropping." "There was stuff falling everywhere, you could see the walls were caving in," McBride said. "Rain was pouring everywhere; all the packages were soaked. It's unreal." 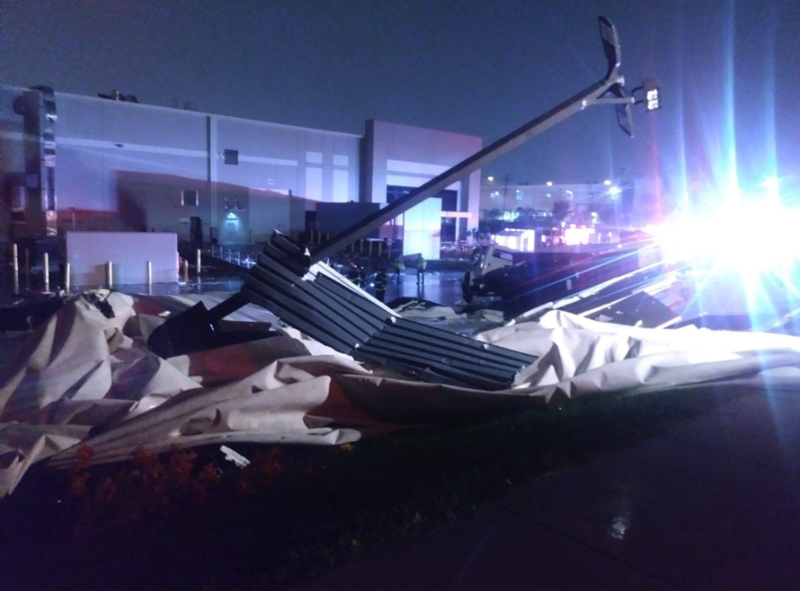 Amazon spokeswoman Rachael Lighty emailed a statement to NBC Baltimore that said: "Severe weather damaged one of our facilities in Baltimore City. The safety of our employees and contractors is our top priority and we have safely evacuated the building. We are working with emergency responders to assess the damage and we are thankful for their quick response this evening. Our thoughts go out to all families impacted by this evening’s severe weather."